Virginia is the vanity plate capital of the United States. So far they don't have much to show for it. Now they do. HUZZAH! I'm pretty sure I just blue myself. 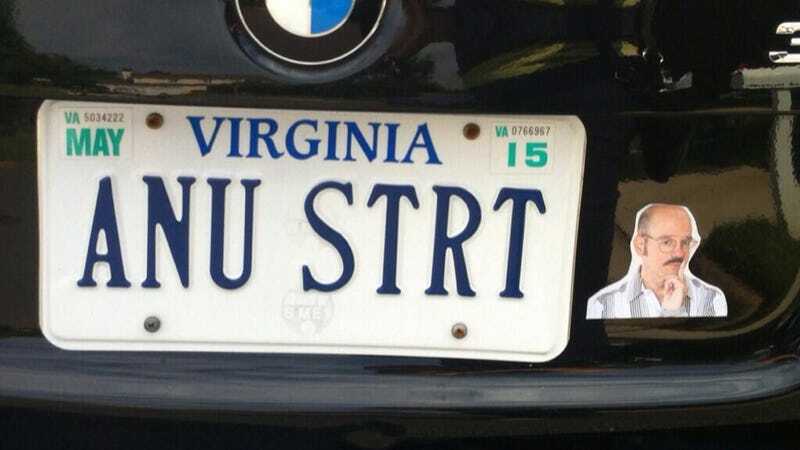 In the past, Virginia has been a little uptight with its plate regulations, as they revoked the greatest plate of all time, but still lets someone have RU18YET. But this one will hopefully never be revoked. A true fan of Arrested Development, this driver took advantage of $10 vanity plates and mounted it on her BMW 328i Touring. @joshpetri I am begging my husband to grow a mustache & drive around in jean shorts but he's being a real jerk about it. That means we have an Arrested fan and a BMW wagon lover in our midst. This is good. Well, it's going to be good. It's going to be good. UPDATE: She's more awesome than we thought.